Featuring of Chinese traditional famous art JingTaiLan - bright and beautiful artwork painted on metal, this amazing green vase symbolizes many good things. 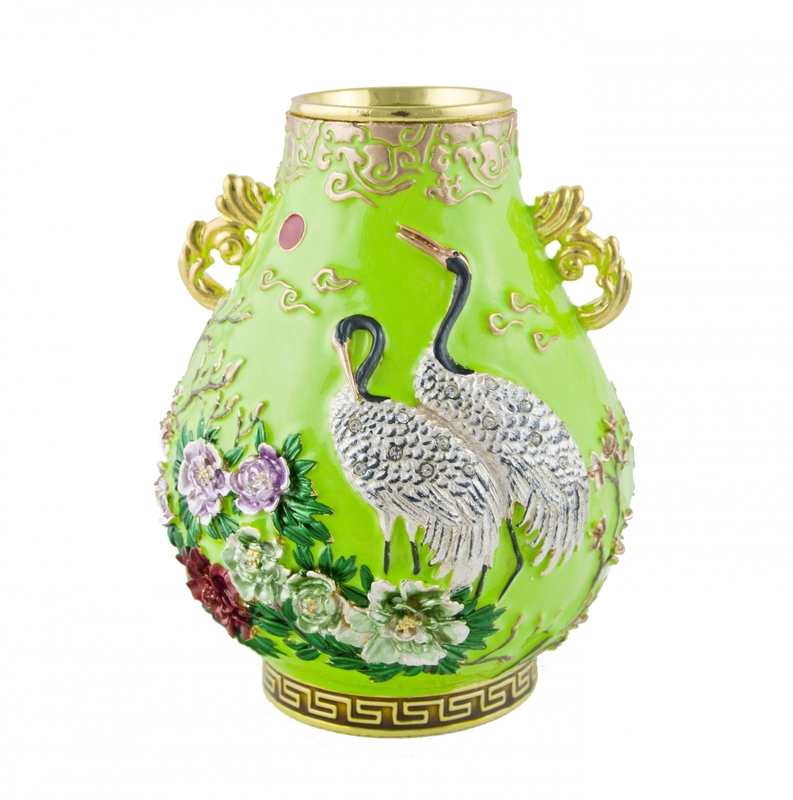 Display this green luminious vase at home to bring wealth, harmony and good health. Peony flowers and crane birds on the vase are traditional symbols in Chinese culture. They are widely used to stand for wealth, prosperity and longevity. Green represents Wood Element in Feng Shui 5 Elements. You can display such green feng shui vase in flying star #4 located to activate good energy. The dimension of the green luminious vase is approx. 5" x 5" x 6"(H). The net weight is approx. 3lb 3 oz. It is made of metal.